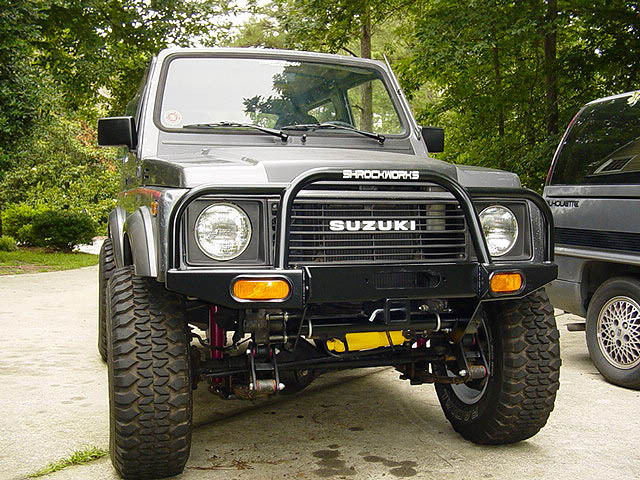 Add our winch bumper to your Suzuki Samurai for great looks and the ultimate strength. 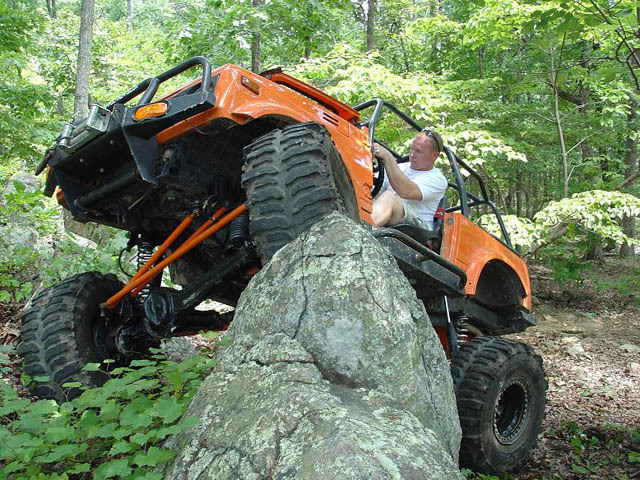 Our bumpers are designed to take maximum abuse in offroad use. They are extremely strong! The lower portion of the bumper is all 1/4" and 3/16" steel. It is CAD designed and laser cut to ensure a perfect fit on your Sammi and it looks great with or without a winch installed. 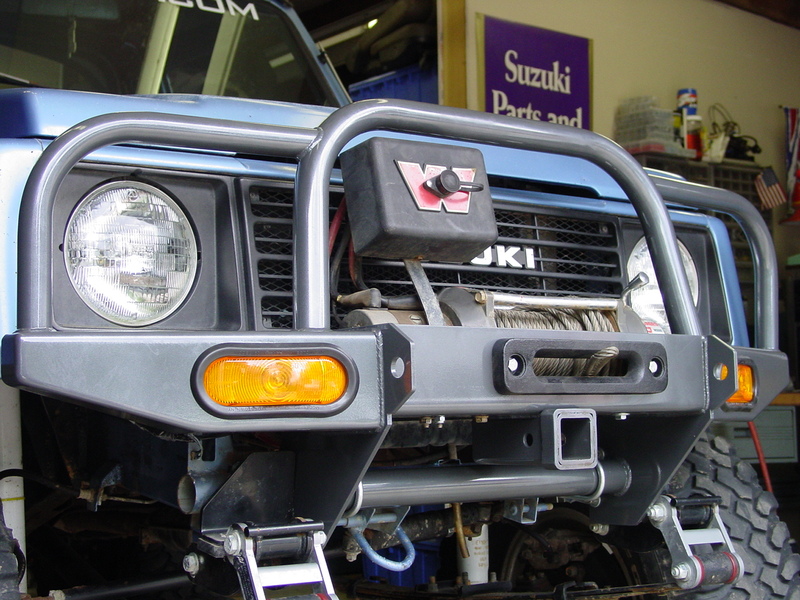 Tow points are integrated into the bumper and will accept 3/4" shackles. 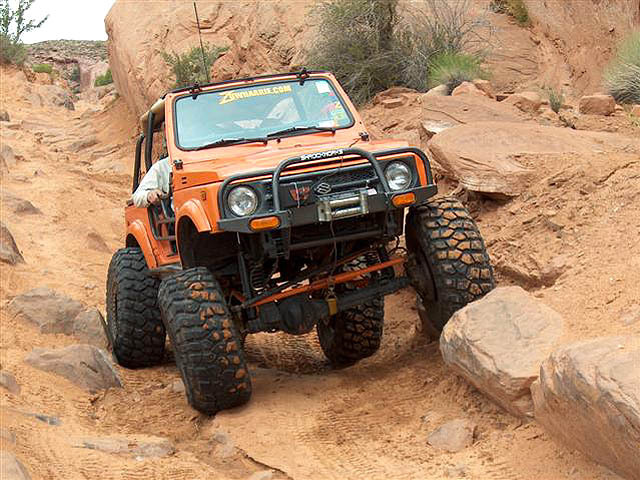 The ShrockWorks bumper mounts your winch up high and gives you great approach angles. The receiver hitch option is very useful. 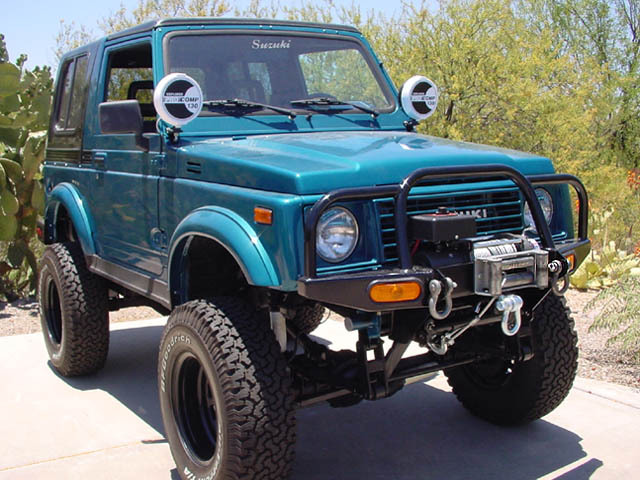 It can used with a receiver shackle for an indestructible tow point, a portable winch, or any of the many receiver mounted accessories like cargo baskets. The receiver is shown in this pic along with a receiver shackle and the aluminum fairlead for synthetic rope. New integrated turn signals are included. Unlike the Suzuki lenses, these lights are very cheap to replace if you manage to break one and can be found at virtually any auto parts store. 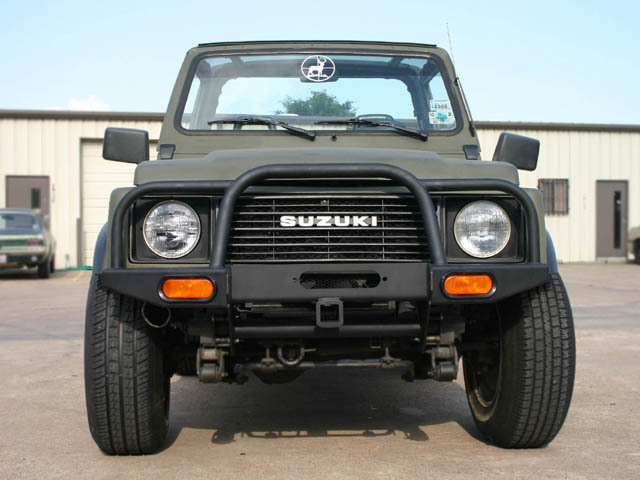 The bumper mounts through the typical four factory frame bolts, then takes a step further with an exclusive frame mounted anti-rotation bracket. 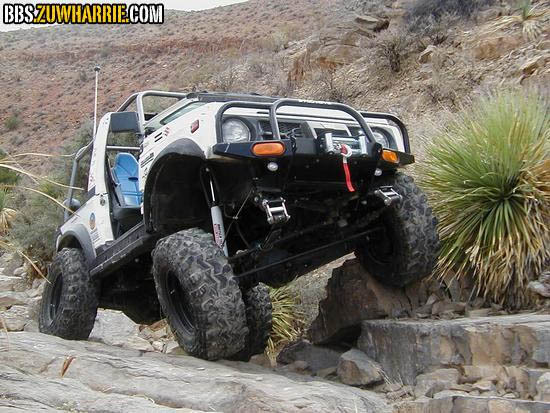 This adds serious beef to the mounting of the winch bumper. 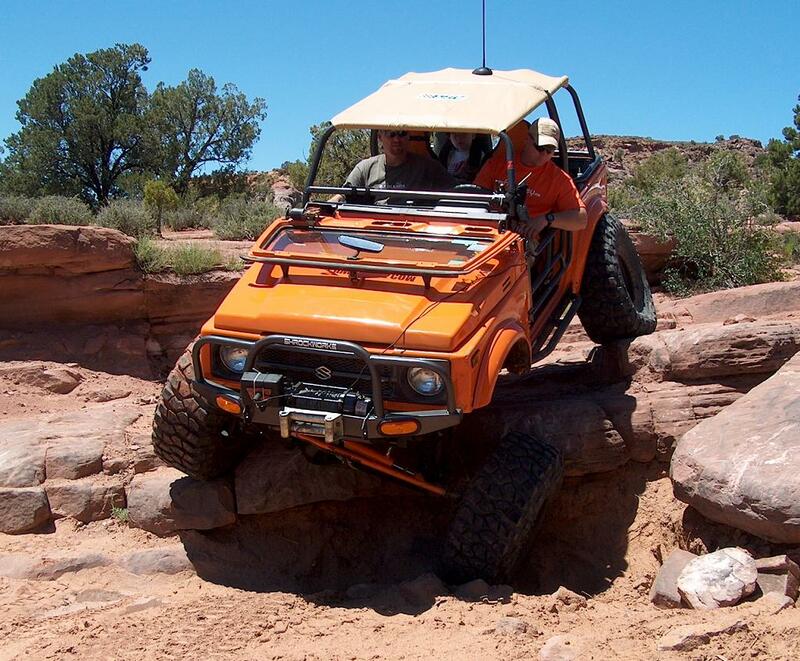 It prevents the bumper from rotating downward under winch load. It also greatly increase the overall strength of the mount since it adds two additional frame attachment points. 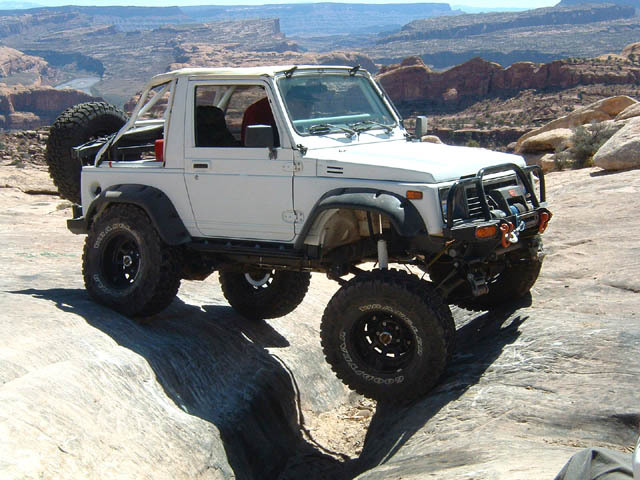 - Accepts most Warn winches up to 8000lbs and some 9000lb winches. Works with virtually all aftermarket front suspensions setups except weld on frame extension / shackle reversal systems. Calmini, Trailtough and Rocky Road missing link kits have all been tested and work. Please inquire if you have any questions about a particular setup. Please let us know if you have a body lift. I love mine. It's awesome!! Shrockworks has the best products at the best prices. I love this bumper. I have one of the original Shrockworks front bumper. And let me tell you it can handle whatever is dished out at it. 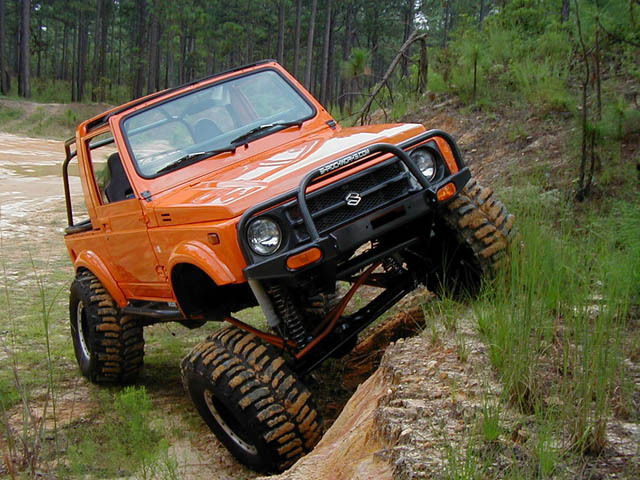 Winching, bashing, pulling, etc, there is none better. This bumper is awesome! I mounted a mile marker 9,000 lb winch to it which fits pretty snugly. I used cable ties to mount the control box and bent up the original tabs to slide it more toward the center. The bumper itself has been incredible, the lights push in without damage, and are inexpensive. (I did lose one!) I have winched my Sammy over fifty yards up a hill, over stumps and there was absolutely no bending or deformation of the bumper or mounts. The powder coat is pretty tough as it has rubbed many trees but I still do not see bare metal. An awesome product at a fair price!! Bumper fit perfectly with no grinding or modification. Very functional and looks great!!! I have had a shrockworks front bumper for 2 years. I have to say it's the reason i still have a front clip. 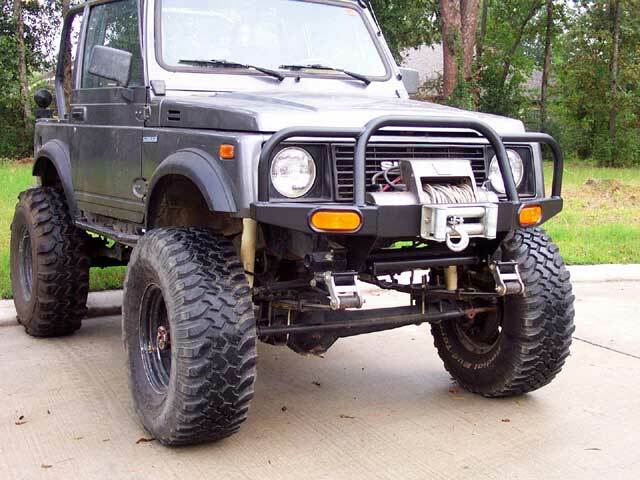 Best purchase i have made for my samurai. Received front bumper from shop locally, and not only was the bumper excellent,the staff there was also extremeley honest and helpful. No wonder The SHROCKWORKS Company is successful !! !